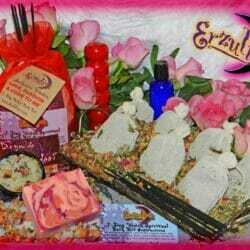 Voodoo Ritual Bath Kits and Spiritual Bath Kits for love spells, wealth spells, road opening spells, banishing spells, protection spells and more! Since the beginning of time, spiritual bath rituals have been a large part of every faith because of the incredible healing and medicinal benefits they provide for the mind, body and spirit. 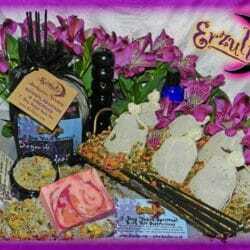 Erzulie’s has taken this ancient concept and carefully combined our Voodoo ritual bath kits with magical herb mixtures, Haitian Vodou powders, hand-blended bath salts with precious essential oils, spiritual incense, goat’s milk spiritual soaps, magical bath washes and unique Voodoo ritual items to draw upon the divine energies during your ritual bath. 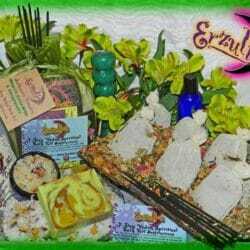 All of Erzulie’s Voodoo & Spiritual Bath Kits are ritualized, consecrated and designed in the most conducive manner for your busy and often, overwhelming life obligations. Relax in our luxurious Voodoo Ritual Baths and allow Spirit to intercede on your behalf! 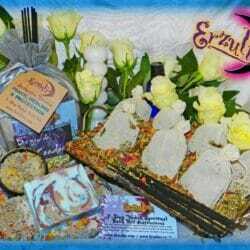 Erzulie’s Voodoo Ritual Bath Kits arrive in a colorful, shimmery pouch with detailed instructions.